Air Tractor Inc., a 200-employee manufacturer of agricultural and forest fire-bombing airplanes, has used EXIM Bank's medium-term insurance for 15 years to export an estimated $40 million of its aircraft, primarily to small private-sector buyers in Argentina and Brazil. The company uses the Bank's medium-term policies to provide supplier credits, which are loans to international buyers that the company originates and then sells to a commercial lender. About 25 planes are expected to be financed annually. 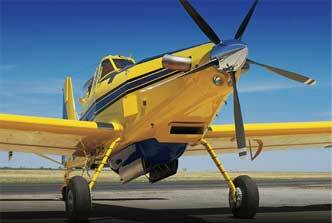 In 2009, Air Tractor also obtained an EXIM Bank-guaranteed working capital loan. This company has been able to enter new markets with exports now accounting for approximately 39 percent of the company's total sales. EXIM Bank-supported exports have helped the company smooth out the effects of fluctuations in demand. "EXIM Bank's financing helped us establish long-term relationships with customers in Latin America and greatly expand our sales."